View More In Digital Tire Pressure Gauges. 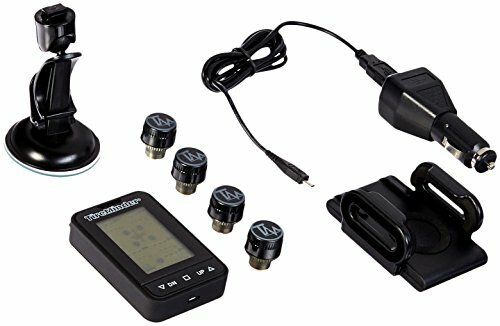 Minder Research Inc. offers a full line of Wireless Tire Pressure Monitoring Systems (TPMS,) Tire Gauges, Wired and Wireless Temperature Monitors for the Home, Indoor and Outdoor Weather Stations, Home Security Light Timers, Flameless Tea lights, Night Lights and Motion & Safety Lights. Not compatible with RVs. Only designed for cars, trucks and SUVs. Monitors up to 5 tires (0-80 PSI). Display PSI and temperature for each tire. Blow-out, high/low pressure and temperature alarms. Must be used brass or steel valve stems. If you have any questions about this product by Tire Minder, contact us by completing and submitting the form below. If you are looking for a specif part number, please include it with your message.